Sometime last year, I screwed up one of my few public DJ sets. I’d been invited by the mighty Keyzus to play the No Requests set at an event appropriately called ‘A Memorable Night‘. The idea was simple: what songs would a DJ play if – free of crowd expectations – they could play whatever they liked? It’s a good question here in Ghana. While a good DJ combines songs people know with songs that they don’t, a great DJ establishes so much trust that their audience is willing to musically go wherever the DJ leads them. I’ve been to clubs elsewhere in the world where people danced all night to songs most of which they didn’t know, simply off the vibe and strength of the music. It’s harder to do that in Ghana. I believe this is because of radio. Radio stations the world over are aware of the balance to be struck between playing what is already popular and breaking new songs and sounds, but I feel many Ghanaians radio stations lean a little too heavily towards popularity. It makes (short-term) commercial sense but results in a relatively limited musical diet for Ghanaian listeners: one we have become very used to. DJs – whose job it is to be exposed to more music than most – often find ourselves casting aside great songs because we have learned (from hard experience) that our crowds only want to dance to what they know. For a DJ, this can be more than a little frustrating. Inspired by the younger DJs I shout out at the end of this piece, I decided I would use No Requests to step outside of my comfort zone. I come from a time when most songs were somewhere between 90 to 120 beats per minute (bpm: the unit by which DJs measure music). Back when I was in early 90s Mfantsipim, most songs had a simple 4/4 pattern and you could do the Running Man to them. But something happened after hip-hop escaped New York and fled to the American South. You couldn’t run to it anymore, but you could snap your fingers to it, do the step (and do it all by yourself). Two decades later, the hip-hop sound is dominated by trap: a sub-genre that often moves somewhere between 70 to 80 bpm (or double-time at 140 to 160 bpm). I got a selection of songs ready, arrived on time, plugged in in the corner of the room like a good little DJ, and started playing to the few people who were there on time. I was really pleased to play what I felt was a great set. However, I would later learn that No Requests was a way bigger deal than I had thought: I was scheduled to play later on. In the centre of the room. With the spotlight and cameras on me. While the crowd danced behind me. I could have just replayed the songs I had already played, but it’s not my style to do repeat sets so I tried to diversify. Unluckily for me, I QUICKLY RAN OUT OF OTHER 70 TO 80 BPM SONGS TO PLAY. And so, I started playing my more familiar 90 to 120 bpm songs. I put this mix together a few months after the event because of how dissatisfied I was with my set that night, and – while some of my transitions are a little jagged – I was really pleased with how it came out. I was even more pleased when Harmattan Rain – who do a magnificent job documenting new sounds – agreed to host it. Do not be fooled by the Daisy Age/De La Soul graphic accompanying the mix. While I remain massively Native Tongues-influenced, I hop between many non-Native sounds here (which is actually a very Native Tongues thing to do). I’m particularly proud of what I did to Adomaa and Robin Huws‘ ‘Shii the Song‘: a gorgeous song that didn’t get the airplay it deserved when it came out (because such songs don’t: it goes back to what I was saying about radio). I was surprised to find that it too fell in the trap bpm range and so I slipped it in between some old drum and bass (because I’m old like that)… and Chris Brown’s ‘Look at Me Now’. Weird, but it works. There are so many more people who dabble in creating music these days. Giving them access to your instrumentals and vocals will allow them to fiddle and experiment with your music, which not only publicizes your music but sometimes results in gold. Take for example this blend I did of Efya‘s ‘Getaway’ with Breezy’s ‘Loyal’. I have become a big fan of Joe Kay of Soulection. One of the things I love about his DJing style is how many instrumentals he plays, allowing listeners to appreciate the work put into songs not just by the artist… but by producers. A great example of this is Beyonce’s ‘Ego‘: there’s this brief but sublime piano solo towards the end (it’s at around 43 mins 30 secs into the mix) that you don’t pay much attention to when you hear the song. I travel far beyond the African continent for this mix, but there’s still some African & diaspora DNA in there, including Yasmeen Helwani (Ghana), Ibeyi (Nigeria/France), The Weeknd (Ethiopia/US), Adomaa (Ghana), Robin Huws (Ghana. Check out his new project), Sarkodie (Ghana) & Samini (Ghana), Wanlov (Ghana), and Odunsi (Nigeria). 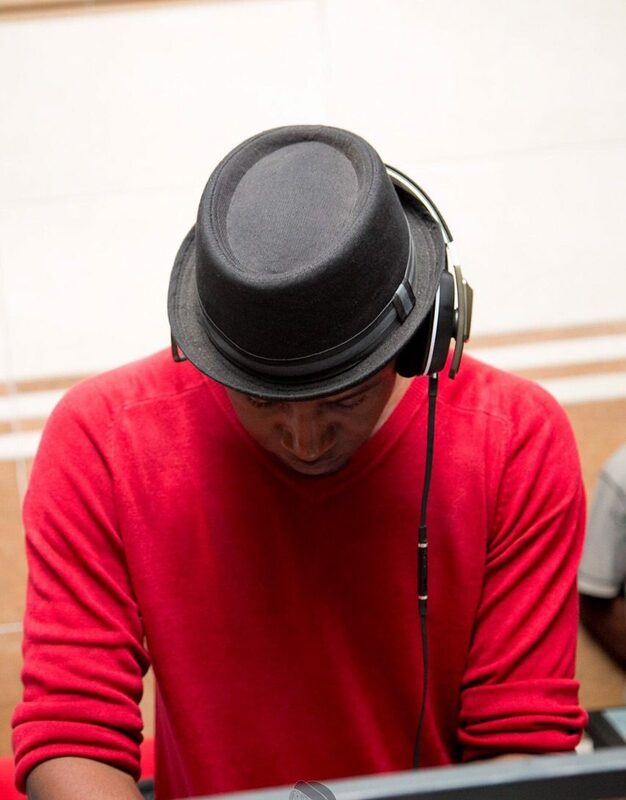 I’ve spent much of my DJ career in Ghana supporting underground African music, whether writing about it, playing the music during my stints on Vibe FM, Joy FM and YFM, DJing at underground events, or even DJing – for free – for some of my favourite artists. There are more platforms now (like Harmattan Rain) for such artists and this is a great thing, and I hope it continues. However, I continue to be obsessed about broadening our national musical palate. Like I said in my last post, Ghanaian music is one of fusion. If you follow where highlife has been, you will find its roots in the merging of local music with styles derived from Caribbean calypso (think of Koo Nimo‘s palm wine guitar) but then it has gone on to fuse itself with whatever genre of music has been most popular with black people across the world. In Nkrumah‘s era, jazz was what was poppin’ in the streets and all of a sudden, highlife sounded like ET Mensah. Then James Brown and (early) Kool & the Gang funk comes along and highlife became afrobeat, captained by Fela but championed in Ghana by the likes of Gyedu Blay Ambolley. Later, we got the electric pop boogie of a post-Jackson 5 Michael Jackson and highlife gave us Charles Amoah. Somewhere in there, Kojo Antwi championed a reggae variant of highlife, no doubt inspired in part by Bob Marley, who remains iconic out here. Hip-hop comes along and we get hip-life, but then American R&B artists discover European-style dance music through the likes of David Guetta and Calvin Harris. All of a sudden, Ghanaian music speeds up and you get azonto (which falls within the same bpm as most dance music). And now, trap is all the rage and suddenly, we have the likes of pappy kojo and more recently, La Meme. Like most great music (and like us), Ghanaian music is adaptive. It absorbs and evolves and changes. I am increasingly obsessed with what other formulations our music can take. There are so many other music forms out there and I want to know what highlife would sound like if it mixes with less popular genres and artists. As part of DECAF, I try to give space to these broader sounds within the Ghanaian space, in hopes that we will absorb, evolve and change it into newer forms of Ghanaian music. In this regard, the work that the likes of VI Music are doing – particularly on Robin Huw’s sonically expansive EP HUES – warms both my ears and my heart. I dedicate this mix to Keyzus, to K3V, to Eff, to Steelo, to Michy and all the DJs younger than me here in Ghana who are out there taking risks and pushing musical boundaries. You all inspire the heck out of me. And apologies to Aubrey Graham, who somehow has two songs on this mix without actually featuring in the mix. You know you and I had this convo years ago about the laziness of most Ghanaian DJs on the big radio stations. Its laziness Kobby. That whole I don’t want trouble attitude of Ghanaians permeates through everything we do and this includes the popular Djs. Every major station in Accra plays “Cools” at midday with every DJ playing the same 80s and 90s love ballards and downtempo rock music from that era when they could just as well play tunes from ambient but not too experimental artists, Tricky old 90s stuff, Morcheeba, Esthero and the like. And also the Djs we have here are partly to blame for killing songs in less than three months. The average lifespan of a commercial hit in GH is ridiculously short because Djs will play the same song over and over gain causing your local pub dj to follow suit playing the same tune, the club dj does same, your taxi driver does same, even your local church choir might F around and do a gospel remix of this same tune. Djs have no excuse in the age of youtube and soundcloud to bring more music to the masses that’s as diverse as our rich culture. This is why I love South Africa. They get it. They embrace everything and put a local spin to it or not but either way the masses are tuned in to this greater musical intelligence. I don’t know if you get me. And you make a solid point on the Remix thing. But if I remember correctly this practice was popular from the 80s and 90s with hip hop producers where they would take instrumentals and vocals from the b-side then chop it up to make something new. But this was on vinyl. So may be one artist out there will start the trend and others will jump on board in this mp3 age we live in.